4th World Conference on Breast and Cervical Cancer : Vydya Health - Find Providers, Products. 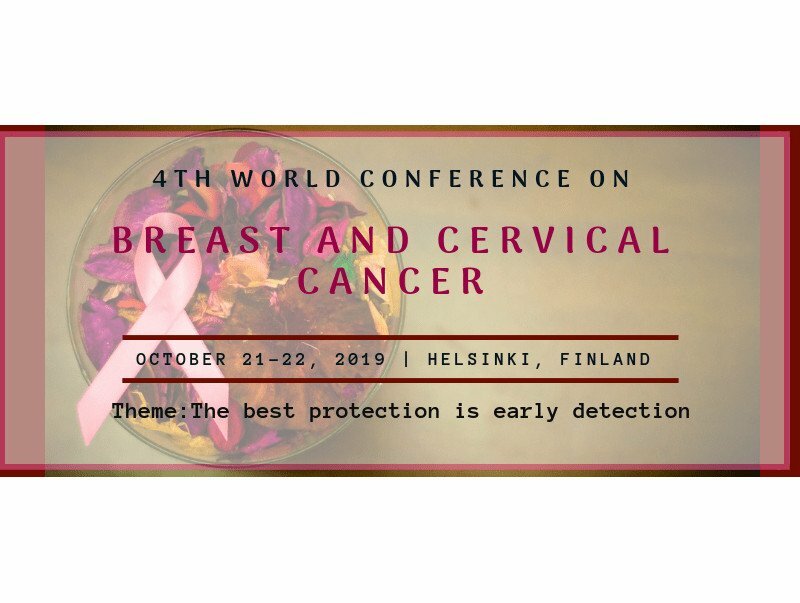 Breast and Cervical Cancer Conference welcomes you to grace with your presence at the 4th World Conference on Breast and Cervical Cancer to be held at Helsinki, Finland during October 21-22, 2019. This 4th World Conference on Breast and Cervical Cancer conference will bring together cancer researchers, oncologists, professors and scientists to discuss strategies for Breast and Cervical Cancer globally. BreCeCan 2019 is designed to provide divergent and prevailing education that will gather Oncology professionals that are familiar of the issues affecting the advancements, applications and innovations in the field of Cancer science. Undoubtedly the participant at this BreCeCan 2019 conference will be able to exchange with the best experts in the specialty and will return home with extensive knowledge.